Opened 1923. Used as a theatre and as a cinema. Closed 2015. 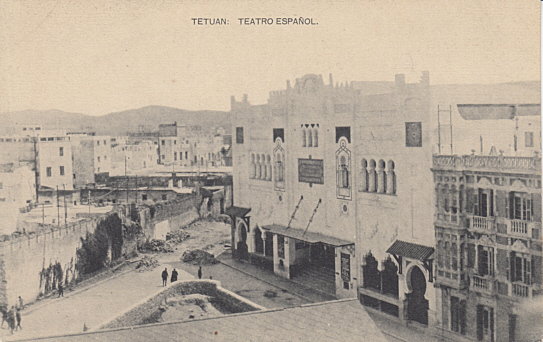 Front Text: "Tetuan: Teatro Español"